Our long history means that tradition plays its part in shaping our character at Edge Grove. Edge Grove pupils are independent, have an adventurous spirit, good manners, respect for others and are resilient. It is these values that provide a strong foundation on which to build our future. Innovation and creativity flourish and help to define Edge Grove as a truly forward thinking school. Success, both collectively and on an individual level, is our motivation. Our academically rigorous and dynamic curriculum challenges and supports all pupils. To foster self-confidence and a lifelong love of learning so that pupils leave as mature, engaging and thoughtful children. 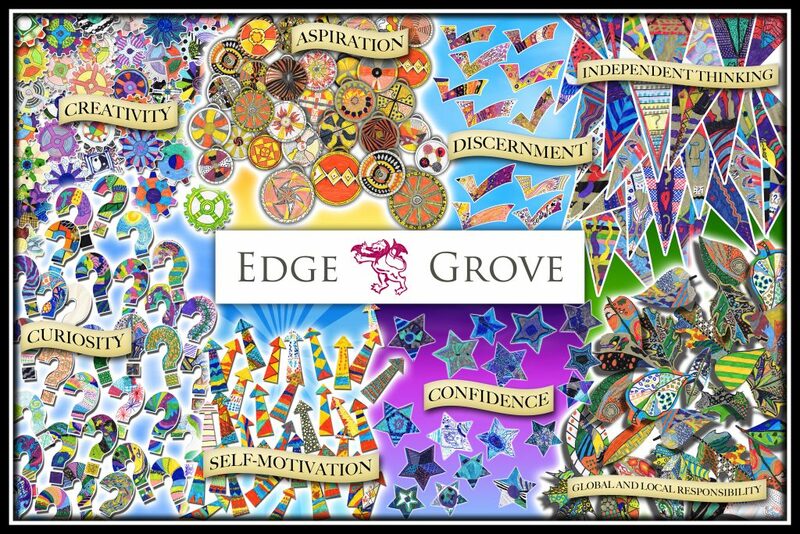 Our Guiding Principles are the foundations on which we base teaching, learning and social development at Edge Grove. remind the whole community of our common purpose and goals. This is a delightful prep with an ethos of discovery and learning through doing – no drilling facts and boring worksheets for these lucky things.